Come fall in love with a magical America that might have been... Using the lore and folk magic of the men and women who helped settle a continent and beliefs of the tribes who were here before them, Orson Scott Card has created an alternate frontier America where folk magic works, and has colored the entire history of the colonies. 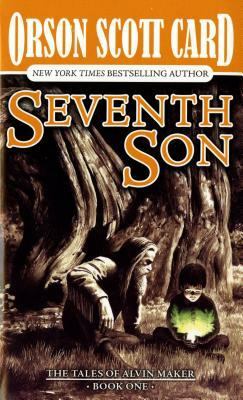 It is into this world, amid the deep wood where the Red Man still holds sway, that a very special child is born...Card, Orson Scott is the author of 'Seventh Son', published 1993 under ISBN 9780812533057 and ISBN 0812533054.